Sony Pictures Entertainment just released Khali the Killer: Official Red Band Trailer to YouTube. If the trailer seems exceedingly long, however, that's because they accidentally uploaded the entire film. The error occurred early Tuesday morning and the "trailer" has since been removed. The hour-and-a-half long movie that was uploaded to the Sony Pictures Entertainment YouTube page even included the full credits. The trailer itself is only one minute and 40 seconds long. Sony took more than six hours to remove the film, during which time it clocked 11,000 views. The movie has already been released on DVD and Blu-ray in Germany and the Netherlands under the name Khali, the Killer - Leben und sterben in East L.A. It is intended for release in the United States beginning on August 31. The IMDB synopsis reads, "After deciding to retire, an East L.A. hit man decides to take one last job to help support his ailing grandmother's end of life care. But everything falls apart when he develops empathy for the targets of his hit, and he's forced to make the toughest decision of his life." Khali the Killer scored a 3.6 out of 10 on IMDB, though it still has a number of positive reviews. One critical reviewer, however, notes that "He's suppose[d] to be a culinary master, but his kitchen is empty. He's suppose[d] to be Latino, but he doesn't speak Spanish. Terribly written and with a fake 70's style that is grating and laughable." 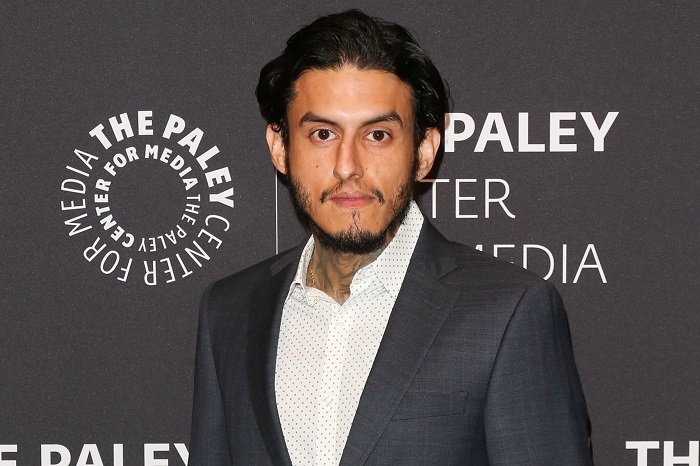 Others argue that it's a must-see movie, engaging and inventive, with outstanding performance in particular by lead actor Richard Cabral. Movie fans will have to watch it themselves to decide! Some skeptics are wondering if the upload of the entire movie by Sony Pictures was in fact a marketing ploy. After all, why did it take so many hours to recognize the error and take the movie down? The film's director, Jon Matthews, tweeted "So…I wrote, directed, edited, and produced Khali. Guess I should have been in charge of the upload too." In 2014, Sony Pictures was hacked by a group that identified itself as "Guardians of Peace." In addition to publishing personal information about Sony employees, they also shared unreleased Sony films: Still Alice, Annie, Fury, Mr. Turner, and To Write Love on Her Arms. The script for the James Bond film Scepter was stolen in the attack as well. The Guardians of Peace group also demanded that Sony pull its film The Interview and threatened terrorist attacks against theaters screening the film, which was about a plot to assassinate North Korean leader Kim Jong-Un. North Korean state-sponsored hackers are suspected of being involved. If you are one of the people who wasn't lucky enough to catch the full Khali the Killer movie on YouTube last night, you'll be able to see it at the end of next month. In the meantime, the actual trailer is now available on the site. Sony Pictures has not yet commented on the accidental film leak. Scarlett Johansson faces new backlash over taking a transgender role in the upcoming film Rub & Tug. She faced criticism in 2017 for playing a Japanese role. At a show in Miami, Lil' Wayne hinted at the upcoming release date of the long anticipated Tha Carter V, which has been postponed for 4 years in legal battles.